A good Santa Barbara roofing contractor will have left a trail of satisfied customers in his wake! Find out about a potential contractor’s history; how long have they been in business? Can they provide references from previous customers who are happy to recommend them? It’s also a good idea to focus your enquiries on satisfactorily completed projects that are relevant to the type of work you require. There’s no point, for example, in hiring a contractor on the basis of 3 excellent recommendations from customers who’ve had repairs carried out on traditional slate roofs, when what you require is the installation of a GRP roof. In other words, ensure that your chosen contractor has relevant experience and that the projects concerned have been completed to a good standard. Choosing a locally based contractor wherever possible is always a good idea. Not only does it mean that your contractor has less distance to travel to reach your property (and therefore more time to spend on the job), it also makes it much easier to contact him should you need to. A reputable roofing contractor will always provide you with an estimate before a contract is agreed. Ensure that all work is itemized and that you know exactly what you are paying for. Your contractor should also be able to provide you with a reasonable accurate timescale of when the work will be completed. This is an area that many home owners forget about, but it can potentially be a costly omission. You should always check that your contractor is adequately insured prior to the commencement of your project. This should cover aspects like accidental damage to your own or a neighbouring property and injury to the contractor, yourself or another party. You should also ensure that all work carried out meets with building regulations and adheres to any other legal requirements where applicable. Based in Scotland, Kirkland Contracts is an established, family run business. The company has built up an excellent reputation over the past decade and continues to provide an efficient, friendly service where all work carried out is guaranteed to be of the highest standard. Modern Roofing, Inc. specializes in all types of residential and commercial roofing. 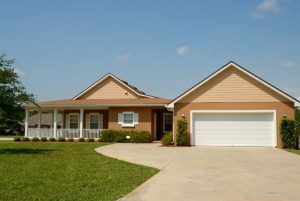 We are a full service roofing company that has built its reputation by working closely with our customers to provide the best possible solutions to their roofing problems. We create long term relationships with our customers through our expertise and commitment to excellence. We stand by our work, and our customers can count on us to be there when they need us.